Plausible Impossible, The (television) Television show; aired on October 31, 1956. Directed by Wilfred Jackson, William Beaudine. 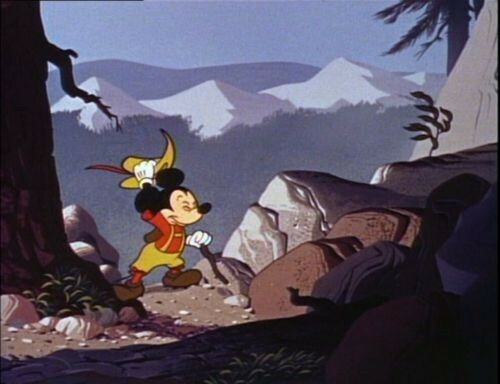 Walt Disney explains some of the techniques of animation, and includes for the first time the pencil test footage of the “Soup Eating Sequence” from Snow White and the Seven Dwarfs. Disney used a prop book in the show called The Art of Animation, and many people expected to be able to find it in their bookstores, but the book was never completed quite in the manner he foresaw; instead, Bob Thomas used that title two years later on a book to tie in with the upcoming release of Sleeping Beauty.